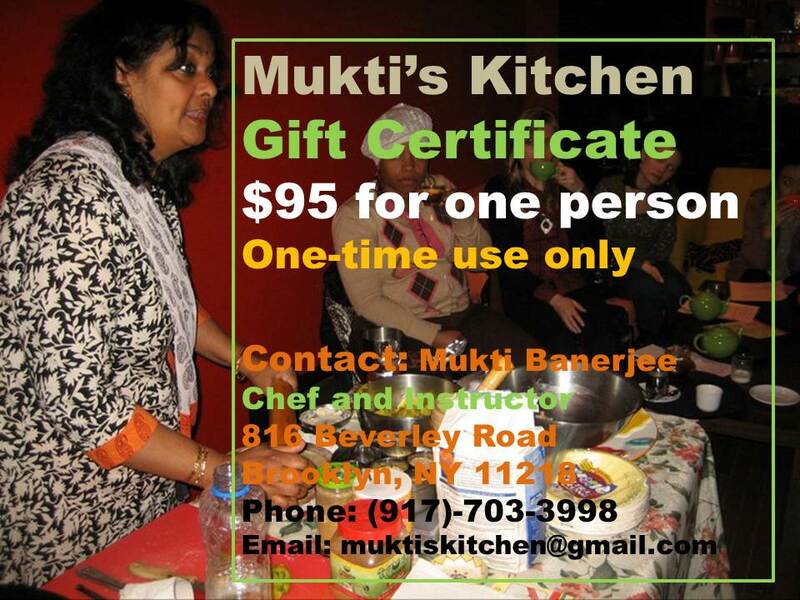 $95 Mukti’s Kitchen Gift Certificates. Good for one (1) person to attend one (1) 3-hour regular session. 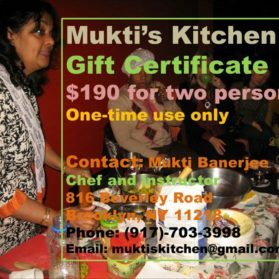 Mukti’s Kitchen gift certificates are a great gift for anyone who wants to learn how to prepare the best Indian dishes imaginable. Take a 3 hour class with Mukti and learn the ins and outs of authentic, home cooked Indian food. $95 gift certificates are good for one (1) person to attend one (1) 3-hour regular session. You will receive your gift certificates via email after purchase confirmation. Certificates must be redeemed within 6 months of the purchase date.